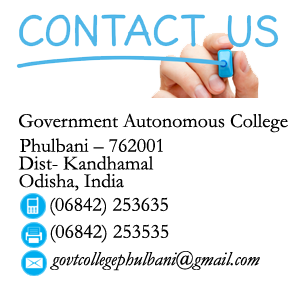 Government Autonomous College, Phulbani, established in the year 1960, is situated in the heart of a backward tribal district, Kandhamal in Odisha. It was a premier Institution in the erstwhile tribal district of Boudh and Phulbani under the nomenclature of Government Science College Phulbani. 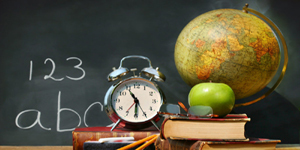 The College was originally affiliated to Utkal University, Bhubaneswar with subject affiliation of all major subjects in the faculties of Arts and Science. 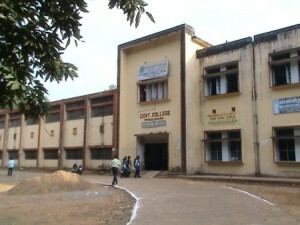 After the establishment of Berhampur University in 1967 in the South Zone of Odisha, the College was affiliated to this University under the nomenclature of Government College, Phulbani. 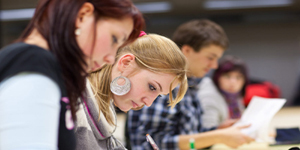 The College is poised for prosperity and is dedicated to disseminate knowledge, higher education in the midst challenging circumstances.